One of the easiest things for a person touched by cancer to address is their diet. Here are 12 foods that can each play a role in fighting one or more steps in the multi-step cancer process. Remember that ´good nourishment´ is a crucial weapon in the fight against cancer and any illness. Good cancer nutrition can be vital in increasing your personal odds of survival. Remember too that natural compounds are likely to do you a lot more good than synthetic pills! So here are a few additions to your cancer diet, as a part of your own Integrated Cancer Treatment Programme. Fish oil will provide long chain omega-3, a powerful anti-inflammatory in the body that minimizes COX-2 and its abilities to drive localized negative hormones called eicosanoids which inflame and irritate. Omega-3 has been shown to re-lengthen telomeres, which shorten when you have cancer putting the DNA structure at risk, and reducing longevity. Oily fish also contain vitamin A, an important vitamin in the fight against cancer (herring, mackerel and salmon are top of the list). Fish oils have been linked to reduced levels of prostate, breast and colon cancer. Research shows they help prevent cachexia when having chemotherapy. You´ll also get a little vitamin D from them, another proven cancer-fighter. Along with apricots, peppers and pumpkins, they provide cancer carotenoids like beta-carotene, which converts to vitamin A, when required by the body. 1 cup of carrot juice, 2 sweet potatoes, 16 dried apricots and 4 cups of red cherries will each provide 25mgs. Don´t eat them all at once – people have been known to turn a little orange! A great juice to make yourself involves carrots and apples (for quercitin) and beetroot (for anthocyanins). A real cancer fighting drink! Carotenoids are also found in natural food sources such as chlorella. The top source of vitamin C in the UK – even better than oranges. Vitamin C strengthens your immune cells and neutralises toxins. Linus Pauling thought cancer patients should consume 2 to 10 gms per day. A large red pepper is 250 mgs. 200 gms raw broccoli 175 mgs. 150 gms papaya 90 mgs. An orange 65 mgs. Berries and cherries are great sources. Red and yellow peppers are also good sources of carotenoids. High in zinc and vitamin E. Zinc helps vitamin C do its work and accelerates healing time. It is important to a healthy prostate. You need 15 to 25 mgs per day. Five tablespoons of sunflower seeds give you 10 mgs. Best are oysters, 3 are enough. Milk can block zinc absorption. Sunflower seeds will also provide a little selenium. Can be mixed with the sunflower seeds in your morning muesli. 5 tablespoons will each provide 20 mgs of vitamin E, the ultimate cancer buster, which inhibits cancer cell growth and protects immune cells from free radicals. Vitamin E boosts your immune system´s fighting abilities. The target is 300-600 mgs and is difficult to achieve without supplements. Green vegetables, soya and almonds are also good sources. Six cracked nuts will give you your daily selenium; 100 to 200 mcgs is the goal. Selenium is a very potent anti-cancer agent. Eight slices of wholemeal bread, an organic egg, or a large chicken breast will also be enough. 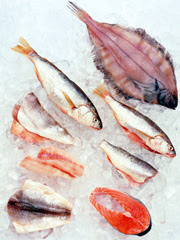 Tuna, onions, broccoli and tomatoes contain selenium too. Seven to ten helpings per week, especially cooked. According to Harvard research 7-10 helpings a week cuts prostate symptoms by 40% and has an influence on many cancers e.g. : lung; colon; cervix; breast. Lycopene is the prime active ingredient, and 25 – 40 mgs the desired daily dose. It is also found in strawberries, peppers, carrots and peaches, but one tin of tomato soup has 65 mgs alone. 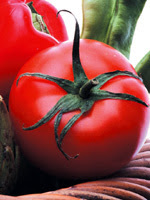 Lycopene helps reduce ´bad´ fat levels in the blood stream and is a strong antioxidant. Along with green leafy vegetables, avocado, beans, carrots, apricots and pumpkins, egg yolk will give you folic acid. 400 micrograms is a recommended amount. Folate, biotin, niacin and vitamin B6 are all B vitamins that help in the cancer fight. Egg yolk, greens and whole grains are the best sources. Moreover, the fibre is rich in galactose, which binds to damaging agents in the intestine. Cruciferous vegetables also contain indoles, and especially indole3carbinol which, along with its metabolite DIM, modifies and diminishes aggressive oestrogen action, can modify cellular oestrogen receptor sites, and aids in fighting oestrogen-driven cancers like some breast, prostate, brain and colorectal cancers. I3C and DIM were also found to have action in non-oestrogen driven cancers as they can also affect the p27 cancer pathway. Finally, sulphorophane in broccoli and especially sprouting broccoli seeds helps the liver detoxify, and reduces stomach cancer tumours. It is a truly wonderful food. It seems to act to stop the spread of cancer in a number of ways, for example by stopping blood supply forming for tumours. Garlic has a number of active ingredients. 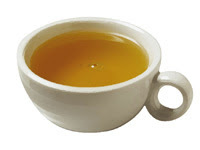 It contains selenium, tryptophan and sulpher based active agents that attack cancer cells. Two or three raw cloves of garlic per day will ward off more than vampires. And cherries, aubergines, red grapes – indeed any purple coloured fruits and vegeatables. They contain anthocyanins (and sometimes also resveratrol). Anthocyanins have been shown to kill cancer cells; resveratrrol has research supporting its role in fighting certain cancers like blood and brain cancers too. Lentils, chickpeas, beans and even soya etc. are a great source of fibre and protein without the animal fat. Pulses also contain isoflavones, phytoestrogens. People get confused about plant oestrogen. The cells of your body have oestrogen receptor sites. When one form of human oestrogen (oestradiol) binds to them, the result is havoc inside your cells. About 40 times less potent is human oestrogen oestrone and about 40 to 50 times less potent still are plant oestrogens. Now which would you rather have sitting on your receptors? Pulses also provide fibres like lignans that can help neutralise free-radicals in the gut and blood stream. Eat pulses every two days. Use good oils like extra virgin olive oil (and anyway increase your good oil intake – fish oils, flaxseed, nut and seed oils and coconut oil). The National Cancer Institute in America produced research in July/August 2012 (see Cancer Watch). Dr Young and her team of researchers concluded that a poor diet (too much glucose, bad fats, cows´ dairy, too much salt, too many refined and junk foods) could cause a cancer to regrow from any cancer stem cells left behind after orthodox treatment. Dr Young also concluded that certain natural compounds in foods could stop this regrowth. Those compounds they said ´could be taken as supplements´. This list included: Sulphorapanes, resveratrol, curcumin, piperine (black pepper), vitamin E (naturally sourced and including all 8 tocopherols and tocotrienols) and vitamin A, theanine and choline, EGCG from green tea, and genistein (from pulses and the herb red clover). This book may just change your life! Chemotherapy, Radiotherapy, Surgery are traditional treatments, however, should a Change of Diet be considered for cancer treatment? Can a change of diet Prevent Cancer? 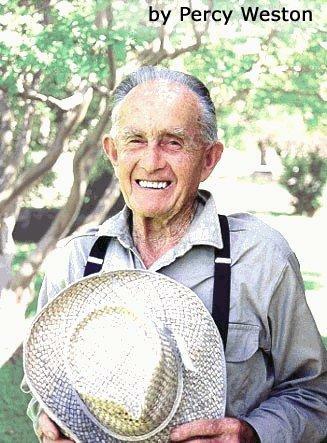 “Yes” said 100 year old Australian farmer Percy Weston. With an expert knowledge of chemistry, Percy believes there is a causative factor for cancer via the food chain, an issue which science has overlooked. These were miracles as far as the doctors were concerned.How did he do it ? How can you do it? Percy Weston’s story is told in this great book. Published by Bookbin Publishing Pty Ltd Australia, it is a fascinating, enthralling story of one mans journey of discovery, which exposes modern agriculture as one of the prime causes of cancer.The book includes testimonies from people who beat cancer by following Percy’s remedy.